Traditionally Germany is one of the best football teams in the world. They have won the World Cup four times, the Euro championship three times, and are normally a force to be reckoned with. That is not all, Germany has produced some of the most legendary football players of all time, such as Michael Ballack, Oliver Kahn, Franz Beckenbauer and Gerd Muller. They also have one of the most exciting domestic leagues. The Bundesliga is home to Bayern Munich, one of the most popular football clubs in the world. In short, Germany has an incredible football tradition and a culture surrounding the sport that is found in very few countries. Back in 2014, Germany eased to victory in the World Cup, demolishing the hosts, Brazil in a famous semi-final. This year many expected Germany to repeat the feat and at least reach the later stages of the tournament. However, this was not to be. The defending champions struggled from the beginning and failed to make it past the group stage of the competition. Following this year’s World Cup, there was a lot of fuss raised in Germany about the team’s performance, and in the middle of it all Mesut Ozil announced his retirement from international football. Since the then, things have only gone from bad to worse for the team. After the World Cup campaign, the team’s next outing was a match against the World cup winners, France, in their opening Nations League fixture. That match ended in a rather lame goalless draw. Following that, they suffered a shock 3 – 0 defeat to the Netherlands in the latest round of the tournament. This means that Germany have now gone three competitive fixtures without scoring a goal for the first time in their impressive history. Their last goal in a competitive match was when Toni Kroos scored an impressive free kick in injury time of the group stage 2 – 1 victory over Sweden at the World Cup. The performance gave Germany fans some hope for the tournament, but ultimately it was futile. Since then Germany has lost 2 – 0 to South Korea, drawn 0 – 0 with France and now lost embarrassingly to the Netherlands. However, they did manage a 2 – 1 win over Peru in a friendly match. 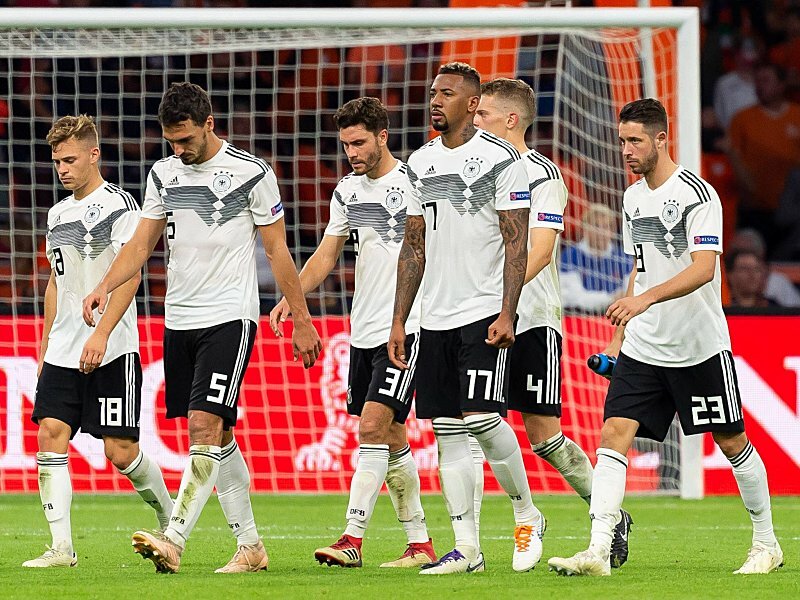 Despite the country’s illustrious footballing history, and the many high quality players available to the team, things are clearly not going well for Germany and they will need to implement a number of changes if they are to turn things around. Here we will take a look at some of the reasons why Germany is now struggling so much and what they can do to try and fix things, both in the short term and the longer term. Germany is not one of the countries known for changing its coaches on a regular basis. In fact, just ten different people have had the job of manager of the national team in over 100 years of its existence. The current manager, Joachim Low, first came onto the scene in the role of assistant to former manager Jurgen Klinsmann in 2006. He then took over the main job after the legendary former striker left the team following the World Cup hosted on home soil. Since then, 58 years old Low has earned a great deal of praise for the way his has managed the national team, and following the successful World Cup campaign in 2014 he was voted as world coach of the year. Last weekend when he took charge of the match against the Netherlands Low actually made history by becoming the coach who has managed the most matches in German football history. This was the 168th match that he has been in charge of. In the modern era national teams seem to go through managers at an incredible rate so this is an impressive feat by Low and he deserves a great deal of praise for the way he has handled the job over the years. However, football is currently evolving at an incredible pace thanks to access to technology and improvement in techniques, and even the most innovative of coaches are finding themselves outdated after as little as a decade, one only needs to look at Jose Mourinho to see another example of this. In his heyday, Joachim Low was a pioneer of modern day tactics and giving young players a chance. However, the increased pressure for consistent success seems to have become too much for Low to handle and the way he dealt with tactics, substitutions and line-ups at the World Cup were broadly criticised. For example, his decision to leave Leroy Sane out of the World Cup squad resulted in a great deal of criticism, as did his determination to start Manuel Neuer in place of Ter Stegen, despite the former having been out of competitive action for close to nine months. He has also shown unwavering faith in his World Cup winning team of four years ago. He has stuck with them despite signs of deterioration. For example, Jerome Boateng has shown at both the World Cup and with Bayern Munich this season that he is out of shape, but Low still insists of sticking with him in his starting line-up. 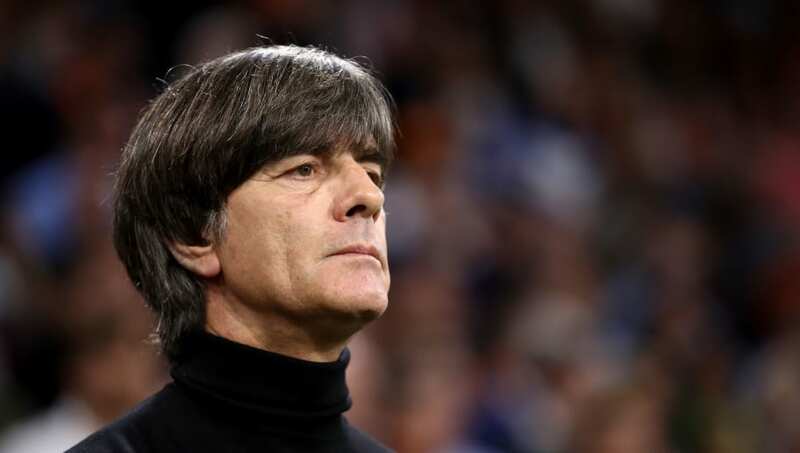 Joachim Low has had a fantastic run with the German team and they have shown great faith in him. However, it is vital that they recognise when it is time to part ways and bring in a fresh manager to breathe life back into the team. Germany dominated both international and club football for large chunks of the 1970s and 1980s. However, they then took a backseat in promoting talent and this meant that the country went into the 1990s with a large number of older players. This culminated in the team being knocked out of Euro 2000 in the group stages as defending champions. Following that embarrassment, the German football authorities searched the world for the best practices to emulate in football, and this led to a new culture of promoting youth development. They decided that all of the clubs in Germany’s professional league systems would immediately start youth team programmes. This of course resulted in the development of younger players and their promotion into the senior teams. Thanks to this new strategy, by the end of the decade the majority of Bundesliga clubs had at their core a set of younger German players who had worked their way up through the ranks. This of course also benefitted the national team. There were a number of players from these young player programmes in the Germany U21 team who won the 2009 European Championship, the same players then impressed at the World Cup a year later in South Africa. This culminated in Brazil when Gotze (who is also a product of the young player programme) scored the team’s injury-time winner in the final against Argentina. Gotze was then a supporting player in a team that included leads such as Manuel Neuer, Thomas Muller, Jerome Boateng, Toni Kroos and Matts Hummels. They were all young German players who had climbed the ranks of the youth development programme. However, eight years after they first appeared on the international stage, the core of the team is unchanged. Neuer, Muller, Boateng, Hummels, Reus and Toni Kroos all still have key roles in the team, and younger players are not being given the chance to play. The last ten years have seen the German team enjoy a great deal of success with largely the same group of players. However, there has been a lack of young players coming onto the scene, in the way that Muller, Neuer, etc. did ten years ago. As such, it follows that having reached a peak, the team will start to come down. It is vital that Germany returns to investing in its younger players once again. The Bundesliga has always been one of the best leagues in the world, and there was a time where it was extremely competitive. One doesn’t need to look back very far to see this, from 2007 to 2011, four different clubs won the title. However, these days it is Bayern Munich who are dominating the league season after season. They have now won the league for six consecutive years, and have always been far ahead of the second placed teams. Some seasons they managed to secure the title as early as March. This dominance has had its effect on the national team as there are a shortage of young players playing at the highest level, except for at Bayern Munich. The next generation of players need to be competing regularly if they are to thrive on the international scene.